This book includes contributions from academics, practitioners and policy-makers connected with the Network on Humanitarian Action (NOHA), an international association of universities that is committed to interdisciplinary education and research on humanitarian action. 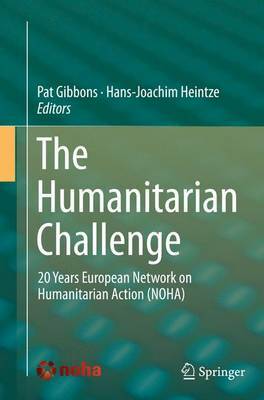 Celebrating the twentieth anniversary of NOHA, this book highlights some of the most pressing issues and challenges facing humanitarian action and explores potential solutions. Drawing on theory and practice, and spanning a broad range of subject matter, the book explores the origin of key concepts such as human security, reconciliation and resilience and questions their effectiveness in the pursuit of humanitarian ends. It also charts current developments in the humanitarian system, in particular in its legal and financial frameworks. Issues relating to humanitarian stakeholders, such as the role of the media and the protection of humanitarian workers, are also addressed. The contributions are influenced by a range of disciplines, including anthropology, political science, legal studies and communications.